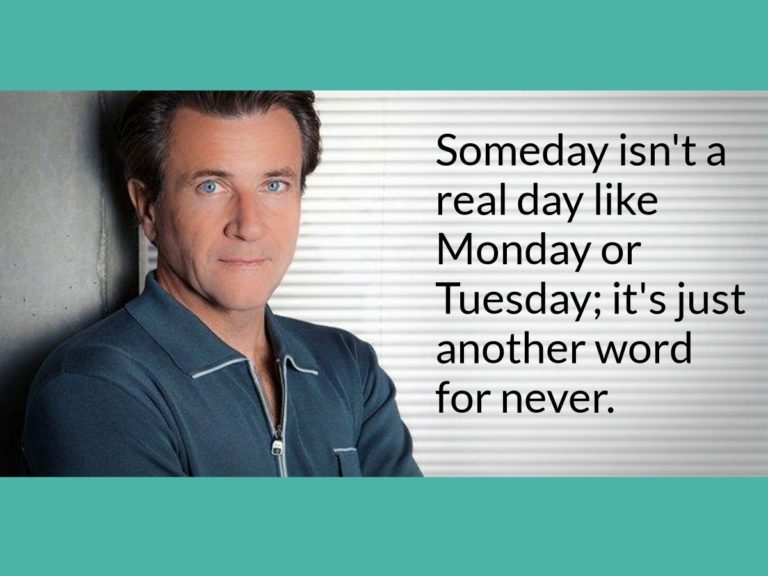 Someday isn’t a real day like Monday or Tuesday; it’s just another word for never. This is quote from Robert Herjavec’s the Will to Win book. Robert is a Canadian from Croatia. His book was written in 2014 and has got a rating of 4.6 on Amazon USA. This is a quote regarding procrastination, something we all need to make sure we minimize to maximize our efforts and time we have to succeed in life. According to others on Dragon’s Den, Robert sleeps only about 4 hours a day to run all his businesses. This is a FB post image size.